- Fellowship for a position in the area of Technological Processing for micro and nanomanufacturing, involving development and implementation of technological processes in a cleanroom environment. Previous didactic knowledge or academic experience in the field of MEMS, microsensors, microfluidics and micromachining are preferred conditions. 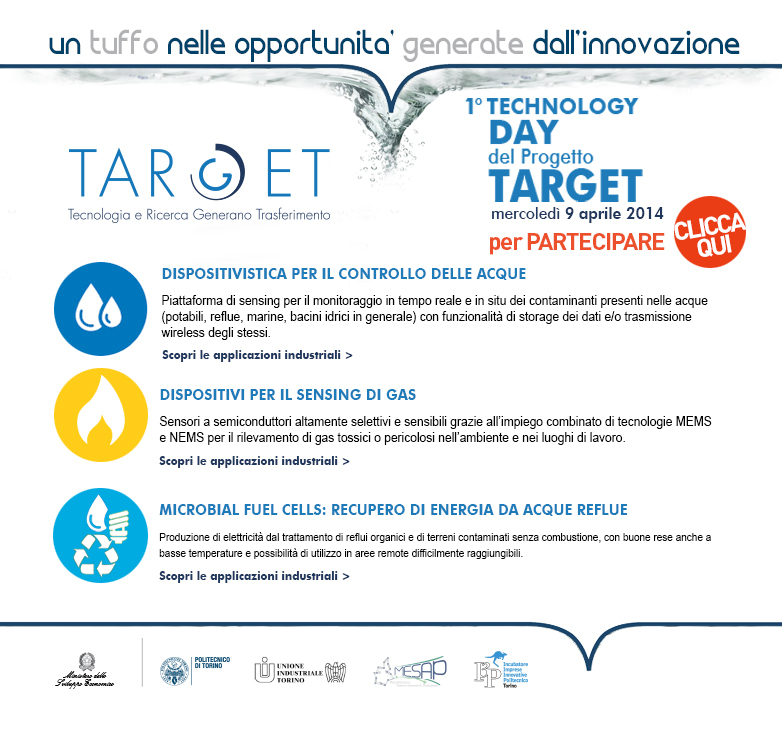 Ci potete trovare nella Hall C presso lo stand 611-613. 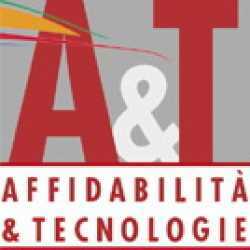 Il Chilab partecipa all'edizione 2014 della Fiera Affidabilità e Tecnologie. Ci potete trovare allo stand F5. Un pomeriggio di full immersion nella tecnologia sviluppata dal Politecnico di Torino. 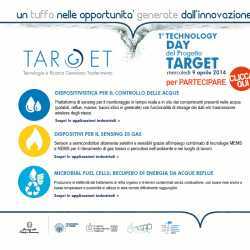 Sarà possibile visitare l'esposizione dei prototipi sviluppati dal CHILAB e dal LIM nell'ambito del progetto Target e assistere a una serie di interventi tenuti in tandem da ricercatori e imprese. sensoristica e controllo per la robotica. The 4th edition of the International Winter School on Nano and Biotechnology, co-organized by Knowledge Department PAT (Trento), University of Trento – Centre for the Integrative Biology (UNITN-CIBIO), B. Kessler Foundation (FBK) and CNR – Institute of Biophysics – Unit at Trento (IBF-TN), is focused on the recent insights regarding coding and non-coding RNAs, their biology and function, with special attention on their implications in cancer biology and their importance for oncology translational research. Continuing advances in transcriptomics are resulting in RNAs being recognized as fundamental regulators of gene expression at transcriptional and translational levels. However, there are still huge gaps in the understanding of the function of many RNA classes and it will be essential to discover the precise mechanisms by which these molecules are involved in cellular development, physiology and pathologies. Additionally the ANIS4 winter school will address advances in methodologies such as RNA imaging, analysis of RNA-associated protein complexes and RNA structural biology. The relevance of non-coding RNA expression and function in cancer will also be addressed and the development of new “on a chip” diagnostic techniques debated. Aim of the school is to provide a common language platform to young scientists coming from different fields such as life sciences, chemistry, engineering and informatics where highly interdisciplinary approaches are required. The program will be structured to allow free time in the afternoon (snow-time) while lectures and other scheduled events will take place in the morning, late afternoon and evening. The lectures will be open to PhD students, postdoctoral fellows and others interested in this newly emerging field. Participants will have the opportunity to present their research in the form of a poster. ANIS4 is promoted by the LaBSSAH Laboratory (Laboratory of Biomolecular Sequence and Structure Analysis for Health, www.labssah.eu) and the Newton consortium (www.nanonewton.it).